5 Reasons Why you or your child should take piano lessons! 1). Music is international language. We all speak music, but only some of us can read it. Be the one! 2). 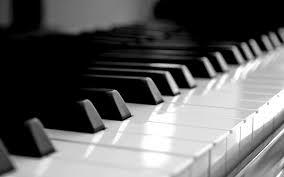 Piano lessons develop rhythm and ear for music . Don’t be surprise that people who take piano lessons can learn foreign language faster. The secret is they can hear the details of intonation and pronunciation better then average person. 4). You can express yourself through beautify of music. Playing piano gives so much power in your hands! 5) You can travel with music through different centuries. Learn the history of humanity.